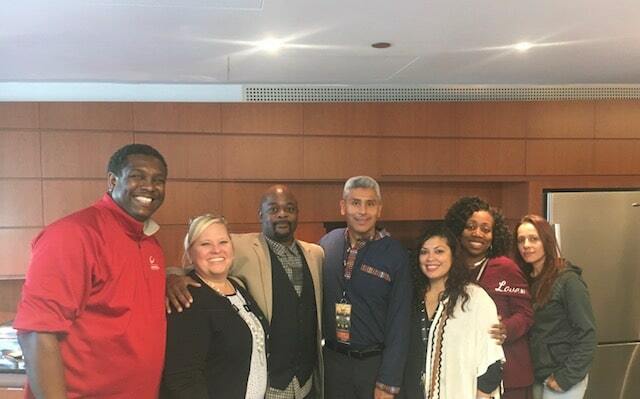 Pictured above: Team with current Chicago City Colleges Chancellor, Juan Salgado. State Rep La Shawn Ford, and Retired State Rep Paul Williams (now Chicago State University Consultant and Chief Executive of Illinois Legislative Black Caucus Foundation). View more photos from the event on Facebook. Throughout the weekend, other activities associated with the Classic took place, including: the President’s Reception, Golf Tournament, Pep Rally, HBCU College Fair, and a “Battle of the Bands” featuring local area high school marching bands. As part of the game day festivities, Ombudsman Chicago provided sponsorship for the Classic through advertising and by providing tickets for students and staff. 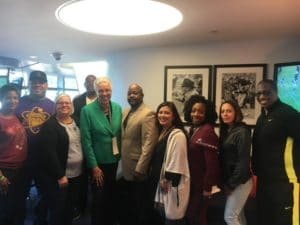 Students had the opportunity to participate in the college fair and other game day activities, while the Ombudsman Chicago team hosted a number of our community partners and Chicago influencers to watch the game! Team picture with Toni Preckwinkle (currently the front runner for Mayor of Chicago). View more photos from the event on Facebook. The Chicago Football Classic President’s Reception was held at the Southshore Cultural Center, to kick off the weekend’s festivities in style! Sponsors of the Classic were recognized at the event, as well as fundraiser efforts, to support the scholarship work the organization provides. 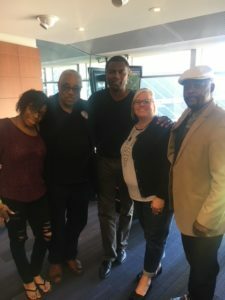 The Chicago Football Classic Scholarship Fund provides scholarships for Chicago high-school graduates to attend Historically Black Colleges and Universities. The presidents from both Miles College and Morehouse College spoke at the reception. Members of Ombudsman Chicago Leadership team were in attendance as proud representatives of our sponsorship, and to show support for the event. To see more photos from the event, visit the post on Facebook.